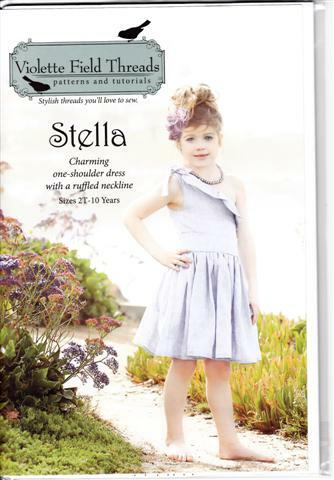 The Stella Dress features one-shoulder fitted bodice with a ruffled neck line. It has a side zipper and optional sash closure for a very tailored look. To balance the fitted top, two full skirt options are included.